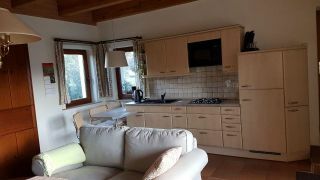 The Non smoking holiday apartments are surrounded by greenery in a small village near the Lake Schwerin and are an ideal starting point for trips to the Baltic Sea or in the capital Schwerin.Die groundfloor apartment is behindertenfreundl. That Dachgesch.-apartment can be reached via an outside staircase , Both are located in the house of the owner. Arrival is from direction Schwerin Coming on the B 106 towards Wismar.Am Ortseingangsschild Zickhusen please indicate right and turn into the peace path. The 4.Haus left hand is your goal. 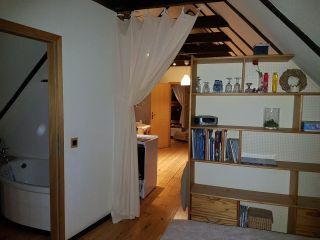 Vacation home in the Parterre for 25 euros for 1 persons/per accomodation.